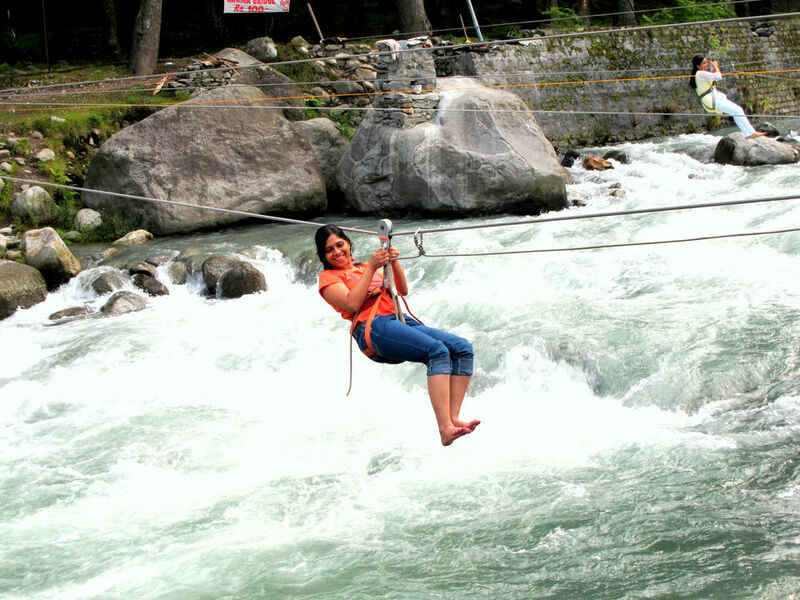 In this adventure sports activity, a rope is tied across a river on the two river banks. The participants cross the river one-by-one. 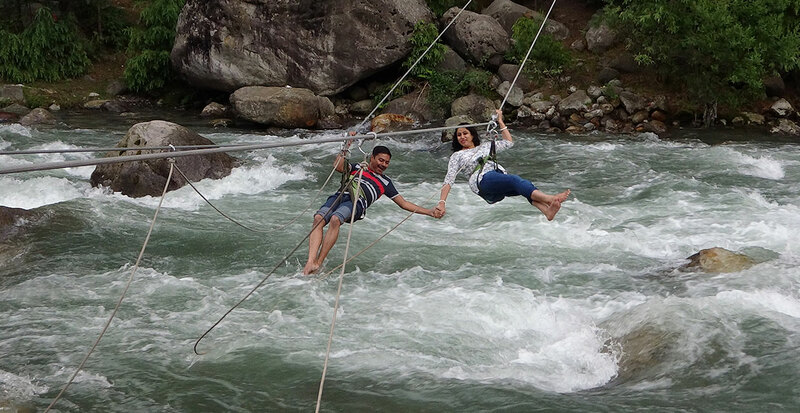 River crossing is a very exciting and soul stirring activity. River crossing is team work as reaching across the river and getting the whole team safely makes it a wonderful team experience. 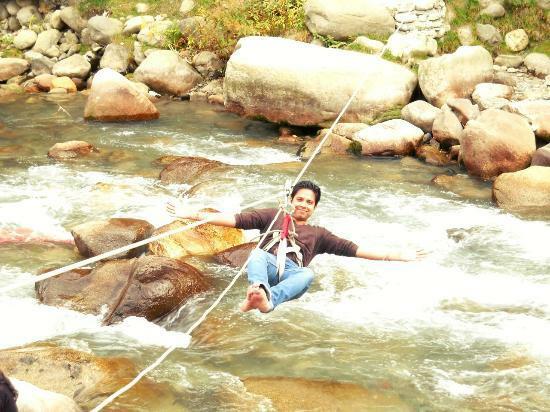 Undertaking river crossing a fixed rope and harness is used. A cable is tied from one bank of the river to the other side. People cross standing on one of the corresponding cable and holding on the other cable. 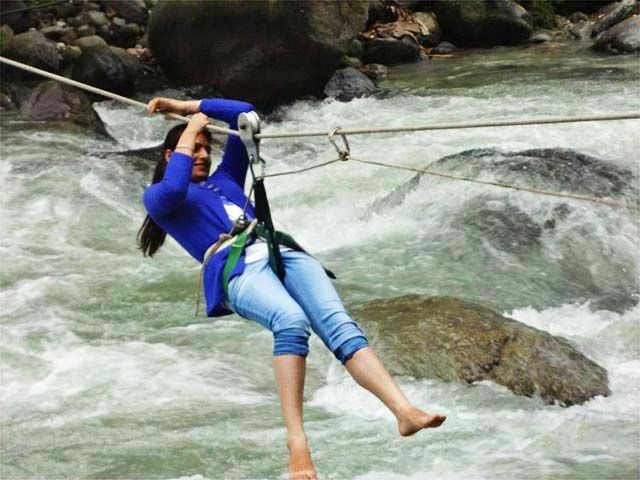 The people are very much secured with methodical harness along with the slider or the cable. Proper care and guidance is advised to be followed during whole exercise. It is easily reachable by your own vehicle or taxi. For your convenience You must visit this amazing place at least once and it is best place for trekkers, adventure lovers.